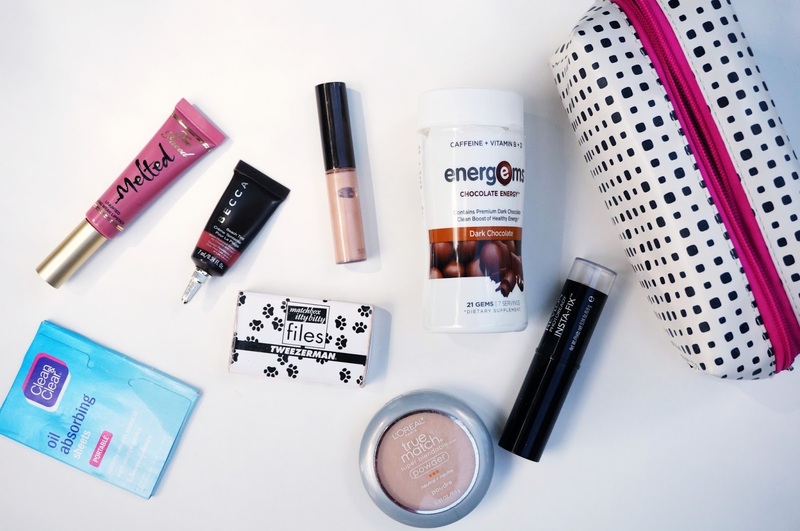 I don’t know about you, but I love ‘What’s In My Bag” posts! It’s so fun to take a peek into someone’s purse and see what they keep with them from day to day. I don’t think I’ve ever done one of these, so I thought it’d be fun to show you how to pack a pouch for your everyday essentials. These are absolutely essential, since my skin is combination/oily. Every day, around lunch time, I use one of these to blot away the oil. I also use them after I go to the gym in the afternoon. I follow up my oil absorbing sheets with a quick swipe of powder. Although I use loose powder in the morning when I apply my makeup, it’s not very practical to carry it around with me during the day. This is the powder I’m currently using, and it does a great job of keeping me shine-free in the afternoon! Just in case my face looks completely wrecked after I go to the gym, I keep a stick foundation on hand. If I have any breakouts or extra redness, I use a quick swipe of this foundation and blend it in. I am forever breaking my nails, so I always have a nail file at hand (no pun intended!). 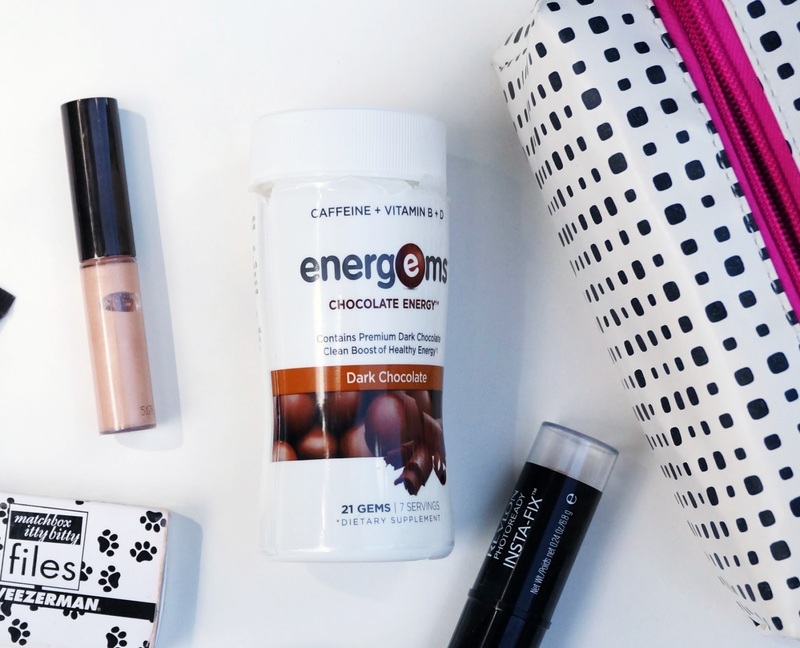 This tiny little package even fits in a clutch, so it’s perfect to carry around with me every day! Sometimes I go to blog events right after work. Just in case I need to freshen my makeup, I have one of my favorite blush and highlighters in my purse. These can easily be applied in the car. I always have about 10 lip products in my purse at any given moment … and I’m really trying to get better about it! This liquid lipstick has been in my purse for quite a while, so it’s definitely a favorite! The color goes with just about everything, it’s easy to apply on the go, and it lasts for a very long time. If you’re like me, you definitely feel that afternoon slump after lunch time. 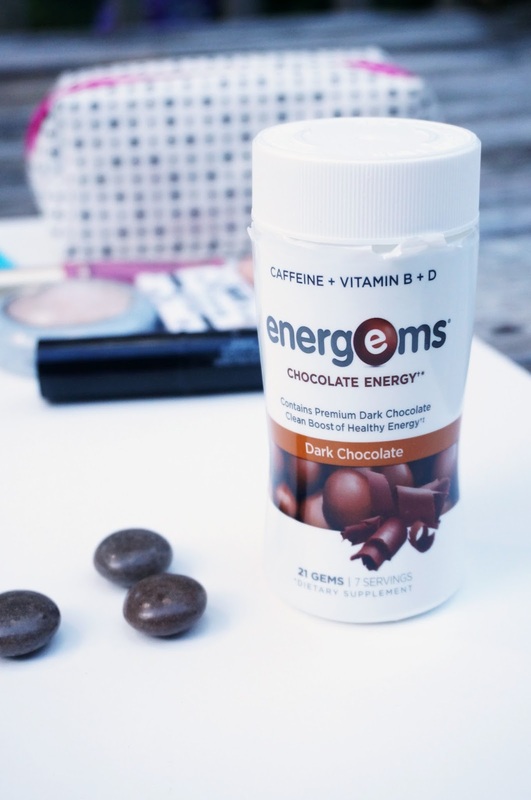 I don’t like to drink a bunch of coffee in the afternoon, so I’ve been using these Energems to power through the afternoon. Each gem contains a little bit of a caffeine and Vitamins B and D, which is great for giving you a boost of energy*. You can take up to 3, which is the equivalent to a cup of coffee. It’s so portable and shareable. I only take one at a time, so it’s not so much caffeine that it doesn’t affect my sleep but I still get a boost of energy! 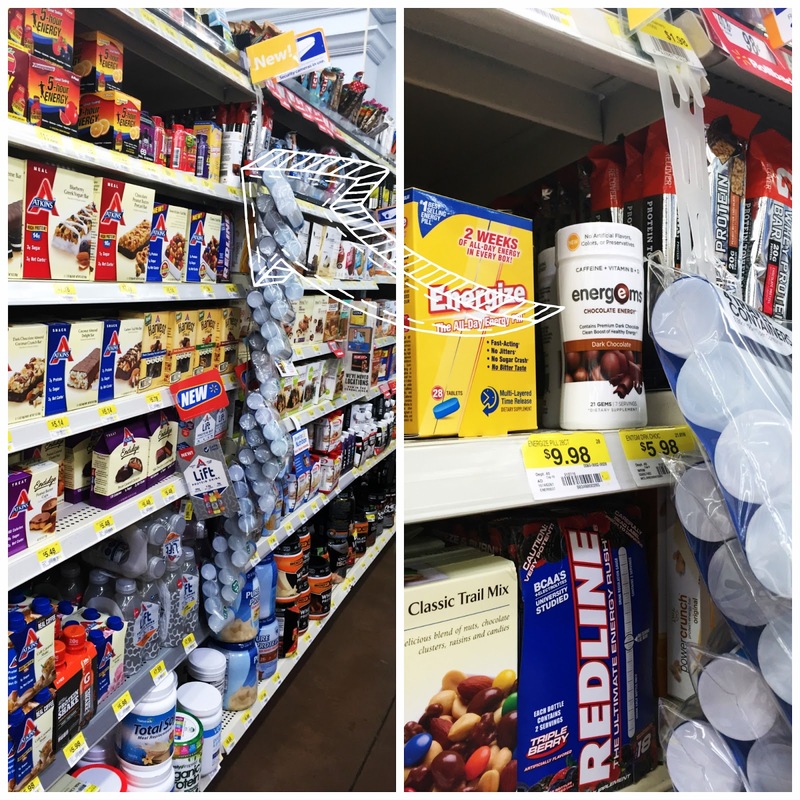 I get my Energems at Walmart, in the sports nutrition section near the pharmacy. The package is small, so keep an eye out for them! There is currently a rebate offer for Energems, which you can read about here. I hope this gave you a bunch of ideas for your everyday essentials! 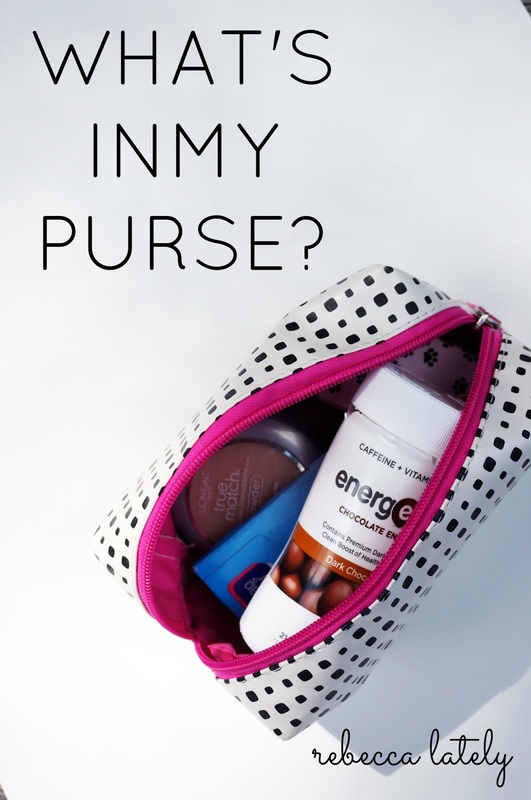 What will you be keeping in your purse? *This statement has not been evaluated by the FDA. This product was not intended to diagnose, treat, cure, or prevent any disease.